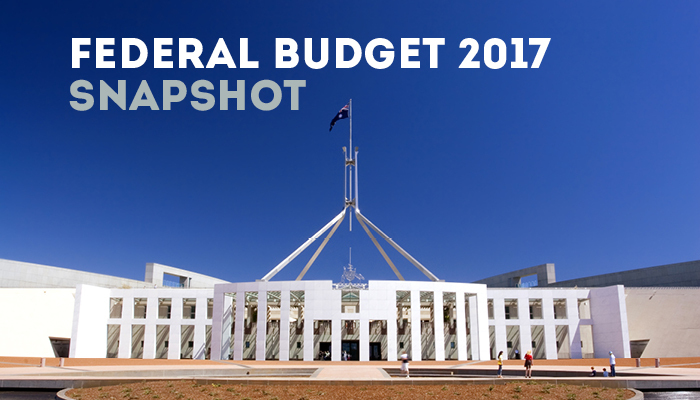 There is always hype about the Australian Federal Budget every year but, you may wonder, what exactly is it and why is it important to you and your family? The Budget is the government’s annual financial report and policy statement to the Parliament and nation. It is the day when the government announces its intentions for revenue raising (taxes and other charges) and expenditure for the forthcoming year. Basically in lay-man terms, the Federal Budget details how the Australian Government plans to spend your tax money, among other things. Plant and equipment depreciation deductions to outlays actually incurred by investors will be limited. Deductions for travel expenses related to inspecting, maintaining or collecting rent for a residential property will no longer be allowed. This does not include engaging third parties, such as real estate agents, for property management services. From the 2017 income year, the threshold for singles will be increased to $21,655, family threshold to $36,541 plus $3,356 for each dependent child or student, single seniors and pensioners to $34,244 and family threshold for seniors and pensioners to $47,670 plus $3,356 for each dependent child or student. From 1 July 2019, the Medicare levy will increase from 2% to 2.5% of taxable income. Other tax rates that are linked to the top personal rate will also be increased, such as the fringe benefits tax rate. The $20,000 immediate write-off for small businesses, with an aggregated annual turnover of less than $10 million, will be extended to 30 June 2018. From 1 July 2017, the small business CGT concessions will be amended to ensure that only those related to assets used in the business or ownership interests are accessed. Businesses that employ foreign workers on certain skilled visas will pay a levy from March 2018. First home buyers can ‘build a deposit’ inside their superannuation fund by adding voluntary contributions of up to $15,000 per year and $30,000 in total. From 1 July 2018 onwards, these contributions can then be withdrawn, along with associated deemed earnings, for a first home deposit. Both members of a couple can take advantage of this. Concessional contributions and earnings will be taxed. Limited Recourse Borrowing Arrangements (LRBAs) will be used in a member’s total superannuation balance and transfer balance cap. Individuals aged 65 or over will be allowed to make a Non-Concessional Contribution (NCC) of up to $300,000 from the proceeds of selling their home. Opportunities for members to use related party transactions on non-commercial terms to increase superannuation savings will be reduced. Foreign and temporary tax residents will be denied access to the CGT main residence exemption. They cannot avoid a CGT liability by disaggregating indirect interests in Australian real estate property. Foreign persons who make a foreign investment application for residential property will be charged at least $5,000 annually where the property is not occupied or genuinely available on the rental market for at least 6 months per year. A 50% cap on foreign ownership in new developments through a condition on New Dwelling Exemption Certificates will be introduced to ensure that a minimum proportion of developments are available for Australians to purchase. The CGT withholding rate for foreign tax residents will be increased from 10% to 12.5% under the Foreign Resident CGT Withholding (FRCGW) regime and the CGT withholding threshold will be reduced from $2 million to $750,000. Australia’s Foreign Investment Framework will be streamlined and enhanced to make foreign investor obligations clearer and allow for more efficient allocation of Foreign Investment Review Board screening resources to higher risk cases. From 1 July 2018, a new minimum threshold of $42,000 will be established with a 1% repayment rate and a maximum threshold of $119,882 with a 10% repayment rate. If you have queries relating to the above or any other matters contact us on (07) 3491 8822.